Ride-sharing company Uber announced their plans for a fully-operational,on-demand, flying taxi service called Uber Elevate as soon as 2023. Uber first stated these intentions in a white-paper back in October, but Chief Product Officer Jeff Holden detailed intentions to develop and test the technology by 2020 at their Elevate Summit in Dallas, Texas on Tuesday, 25th April. Uber will conduct studies and test the service in Dallas-Fort Worth and Dubai, with the goal of demonstrating the technology at the 2020 World Expo, which Dubai is hosting. The aircrafts will be fully-electric and resemble helicopters for vertical takeoff and landing. Uber has already partnered with helicopter manufacturers to develop the vehicles and with Silicon Valley startup,ChargePoint, to create a quick-charging infrastructure. According to their October white-paper, passengers would board at a designated spot such as existing helipads, re-purposed roofs of parking garages and even unused land surrounding highway interchanges. The aircraft would takeoff vertically, reaching a cruising altitude before landing vertically at a designated drop-off point. Holden stated at the Elevate Summit they believed it could start for roughly the cost of UberX, the company’s basic car transport service. Uber believes ride-sharing will increase load factors and increase both efficiency and usage, which in turn will drive down prices. The company utilised a similiar model to grow their ground service. 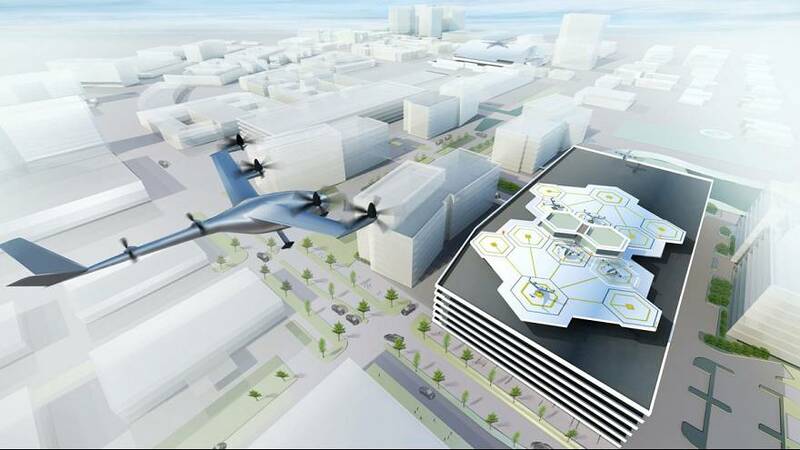 Uber believe that verticle takeoff and landing aircrafts will be an affordable form of daily transportation in the long-run and potentially even less expensive than owning a car. They contend cities and states around the world will be compelled to use new transportation means like these aircrafts as urban congestion and the cost of traditional infrastructure increases. Uber and its partners must still must grapple with the same barriers that have stifled previous companies who claimed to be close to producing flying cars. Aside from uncertainties in the business model, aircraft manufacturers have struggled to create an vertical takeoff and landing aircraft that can work reliably in densely populated areas, not to mention ones quiet enough to comply with noise pollution regulations. Safety, aviation and air traffic control regulations will present a series of hurdles in their own right.